Sundance is known as the biggest independant film festival in the United States and it takes place yearly in Utah. This is a big chance to showcase new films from American and international filmakers and there are a lot of celebritites joining every year. Therefore, this is also an opportunity for companies to debut their new products. At Sundance 2013, Lenovo is among those companies. This year, Lenovo was sponsoring the gifting suite of the event and they are showing their new Lenovo IdeaPad Yoga to anyone stopping by. We have seen Paris Hilton, Michael Cera and Mario Lopez using the new device. 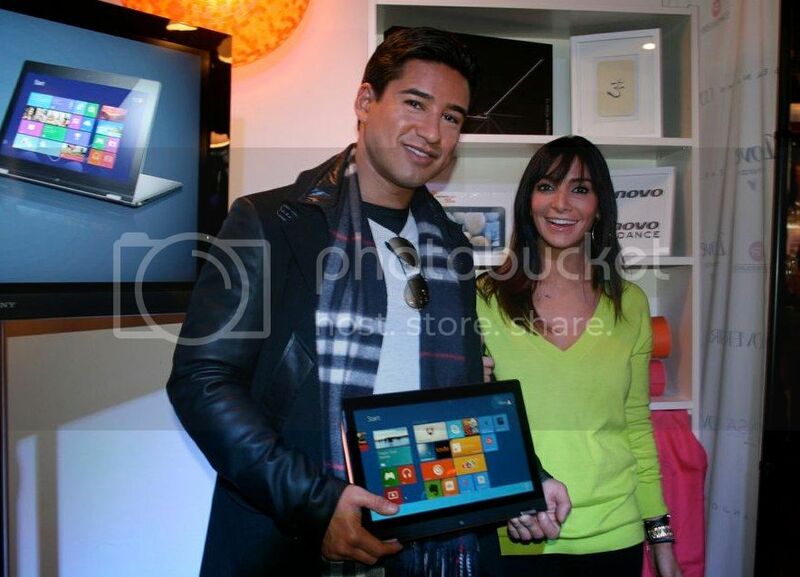 You can check out more pictures of Lenovo at Sundance here. Lenovo IdeaPad Yoga – MUST SEE! Why the Lenovo IdeaPad Yoga is so special? Its price varies from $999 to $1529, depending on how you will customize the machine. They call it the convertible tablet because the screen could be flipped 360 degrees into different modes. Users can use the Yoga in four modes, namely laptop mode, tablet mode, tent mode and stand mode. Check out the Lenovo IdeaPad Yoga Tour video to see how they switch between the different modes. This is really a unique feature among Windows 8 tablets we are seeing on the market. I’d love to try the Yoga tablet soon. IdeaPad Yoga is really a cool device from Lenovo. I’m thinking to buy it in the coming months.